Mike Giese, La Crosse County Board Supervisor, and Jennifer Rombalski, La Crosse County Public Health Director, talk to affected residents at a meeting a the Town of Holland hall. POSTED January 31, 2018 2:45 p.m.
LA CROSSE COUNTY - In an effort to respond to the health threat posed by elevated, unsafe, levels of nitrates found in many wells in the LaCrosse County townships of Holmen and Onalaska, the county health department has convened a Nitrate Task Force. The task force is being led by Jim Steinhoff, a veteran employee of the LaCrosse County Health Department’s Environmental Health Division, who came back from retirement to serve in the role. edteinhoff, reports that the group has met twice so far after receiving a grant from the State of Wisconsin’s Environmental Health Tracking (EHT) program for $9,998. Other members of the Task Force include LaCrosse County Board Supervisor Jim Giese, who was previously the Mayor of Onalaska, Carl Green of UW-Extension, Gregg Stangl, Director of the LaCrosse County Land Conservation Department, the LaCrosee City Planner, and Dave Sawbell of the Health Department’s Environmental Health Division. In the June 2016 nonpartisan Legislative Audit Bureau (LAB) report, ‘Wastewater Permitting and Enforcement: Department of Natural Resources,’ there were concerns expressed about Babcock Genetics, a permitted CAFO with 1,950 animal units that is located in Holland Township. Sampling of monitoring wells around the operation had shown a pattern of unsafe nitrate levels beginning in 2005. The LaCrosse County Board Human Services Committee took the matter up, and attempted to communicate with the DNR about the situation. Receiving an unsatisfactory response, the committee took the matter to the LaCrosse County Board, which in the end was able to obtain the information necessary for the health department to begin to notify residents in the affected area, conduct additional investigations and work on solutions. The county was forced to submit four open records requests to the DNR to obtain the data on wastewater violations and DNR enforcement efforts. The data about nitrate levels from the monitoring wells at the CAFO was received in late February of 2017. Of the 102 test results, 90 exceeded recommended limits for nitrates. Any concentration of nitrates in well water above 10 micrograms per milliliter (mcg/ml) is considered unsafe. According to Rombalski, the main populations that are vulnerable to high levels of nitrates are women who are pregnant or of childbearing age, and infants less than six months old. She said that exposure to high levels of nitrates in water can interfere with childhood development, and may be connected to an increased risk for diabetes, cancer and thyroid problems. In March of 2017, after an evaluation of the data, the LaCrosse County Health Department opened a Department Operations Center and prepared to alert the public. Notices were mailed to more than 2,000 residents, and two press conferences were held in mid-April 2017. At a meeting held in the Town of Holland on Tuesday, Oct. 24, LaCrosse County Health Department Director Jennifer Rombalski updated local residents about the ongoing investigation. She was joined at the meeting by Wisconsin State Representative Steve Doyle, who represents the 94th Assembly District encompassing rural LaCrosse County, and Mike Giese who represents District 17 on the La Crosse County Board. Rombalski told the residents that a nitrate task force was being formed that would look into the source of the contamination and make policy recommendations to the county board about how to address the current situation and prevent such a problem from occurring again in the future. Steinhoff reported that the first two meetings of the task force were dedicated to identifying the gaps in knowledge they had about the contamination of well water. With 31 percent of the 560 wells tested showing results of greater than the 10 mcg/ml concentration of nitrates, which is the legally defined safe threshold, and 29 percent showing results of between 5-10 mcg/ml, Steinhoff said that a total of 60 percent of wells tested have significant impact. Steinhoff said the group’s hypothesis going in was that shallower wells would be more susceptible to contamination. The area’s soil is a sandy gravel mix that allows water and contaminants to move very quickly from the surface down into the aquifer. Steinhoff reports that 98 percent of wells in the area are less than 150 feet deep. Steinhoff’s task force has benefited from the expertise of Dave Johnson, a DNR Hydro-geologist, who has statewide responsibility for groundwater quality data, monitoring wells, private well contamination from manure or other problems, private well water quality, and wellhead protection. “Although we did not see the results typical in other areas of the state with different soil and bedrock types, of higher levels of contamination in shallower wells, we did see a relationship between the depth of well casings and higher levels of contamination,” Johnson said. Johnson explained that there is a fairly significant loading of nutrients coming off the surface into the aquifer in that region because of the hilly terrain and location of farm fields on the tops of the hills. He said that the nutrients are coming from animal waste, septic systems, and spreading of municipal sludge. The hydro-geologist said that the data in the Wisconsin Groundwater Retrieval Network, mostly coming from the Wisconsin State Lab of Hygiene, has showed a slight downward trend in the last year. He attributes this to improvements in nutrient management practices in agriculture, private septic systems and municipal waste management. Currently, 46 percent of LaCrosse County’s land is shown by the DATCP to be enrolled in a nutrient management plan. Steinhoff reports that the task force’s next initiative will be to address the most obvious gap in their knowledge, which is the source(s) of nitrate contamination in the wells. Steinhoff reported that the Task Force will take a stepped approach to understanding the situation and identifying potential sources of the contamination. 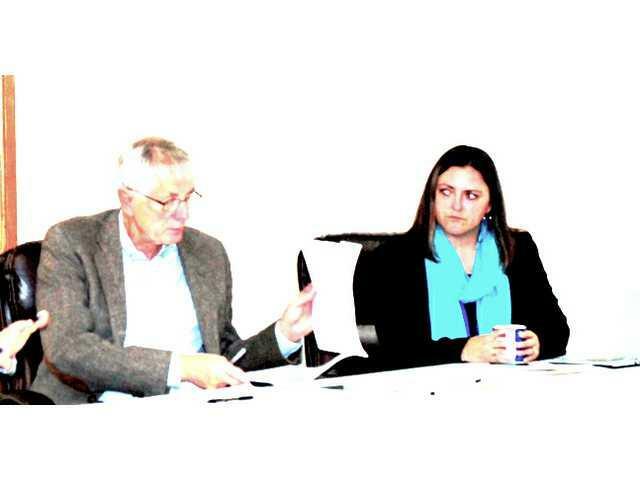 Steinhoff said that the county and local municipalities are currently limited in the kinds of policies or ordinances they can enact by the State Livestock Facility Siting law. Most of the remedies currently available to the affected area seem to be in encouraging best practices in nutrient management through such mechanisms as participation in the State of Wisconsin Farmland Preservation Program or encouraging producers to sign up for various USDA Natural Resources Conservation Service programs through the Environmental Quality Incentive Program (EQIP). These programs require producers to create and follow nutrient management programs (NMP). Steinhoff applauded Wisconsin State Representative Jill Billings and State Senator Jennifer Shilling for their recent introduction of the Water Pollution Notification Act. This legislation would require the Wisconsin Department of Natural Resources to alert potentially affected residents and counties whenever facilities violate their wastewater permit, causing pollutants in the water to exceed allowed levels. The DNR would have 30 days to notify residents and counties of the violation, except in cases where the pollutants cause an immediate health risk. In such instances, the DNR would have 24 hours to notify residents, securing help from local county health departments when applicable. According to LaCrosse County Public Health, Environmental Health Division, employee Carol Drury, the county has also received a CDC grant for the third year in a row. Former Environmental Health Division employee Jim Steinhoff originally secured the grant three years ago, when the situation with the nitrogen contamination first began to come out.